Director ‘Ang Lee’ with his versatile talent has mesmerized the whole world with his film version of the book that went on to win the world renowned ‘Man Booker’ prize, Yann Martel’s ‘Life of Pi’. In the Academy Awards Ceremony year 2013, the fantastic film won four Oscars, including Best Director for Ang Lee. Fabulously shot in scenic locales of Munnar and Puducherry, enhanced through visual effects, retaining the spiritual and ethereal aspects of the book, this film has stunned the world. It is a delight that both the storyline and underlying theme portraying Survival spirit are intricately connected to India. How a young man (excellent performance by Suraj Sharma) survives a disaster forming an amazing alliance with a royal Bengal tiger and the lessons he learns through the epic journey is the story of this novel. In the book, Pi is an Indian teenager who has spent his childhood days in Puducherry and who goes for a vacation to Munnar. Rustic charm of French colony Pondicherry was captured in a very good way in the movie. Ang Lee was able to secure permission to shoot in 1000 year old Villianur temple. In one particular scene, around two thousand crew members struggled to keep 20,000 traditional lamps lit through the entire night and looked after them carefully. The other shooting spot in India for this film was the stunning Munnar. The film cameramen must be given maximum credit for capturing the breathtaking beauty of vast tea gardens and picturesque mountains of this hill station. Munnar has a special place in the book, because a very poignant moment in Pi’s life occurs here, when he gets fascinated by three ‘Godhouses’ or ‘Shrines’ belonging to three religions – Hinduism, Christianity and Islam standing on three hillocks very closely. A scene everyone will remember from the movie is when Pi, curious about all religions, visited a church in Munnar. This place, where a temple dedicated to Lord Subramanian, the Mount Carmel Church and a mosque are situated is known as ‘Fusion Hills’ since when viewed from a height, the three shrines look like they are fused together. Thus, Pi comes to understand that all religions are actually one and the same. This place has become a major tourist attraction now. Indian government is taking steps to promote Munnar and Puducherry under the “Land of Pi” campaign. Pictures of these two tourist destinations will be show-cased on Incredible India website, on Puducherry tourism website and Kerala tourism website. 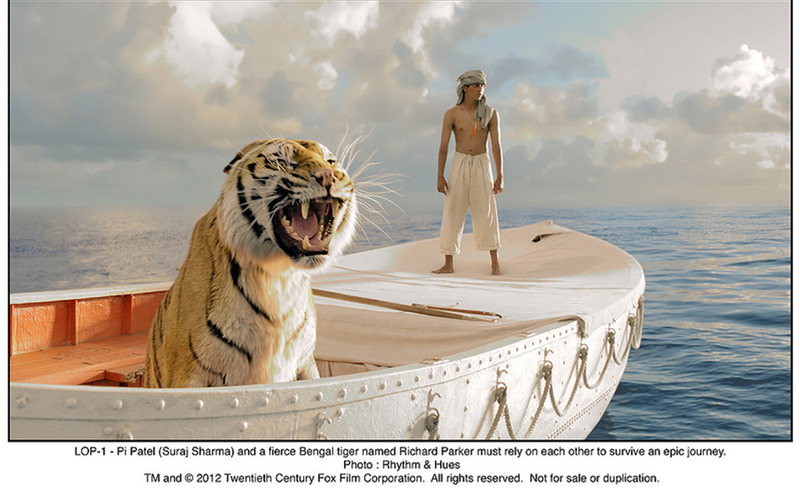 So, during the next trip to Munnar and Puducherry, make sure to visit these amazing shooting locales of the film ‘Life of Pi’, and revel in Incredible India’s charm.